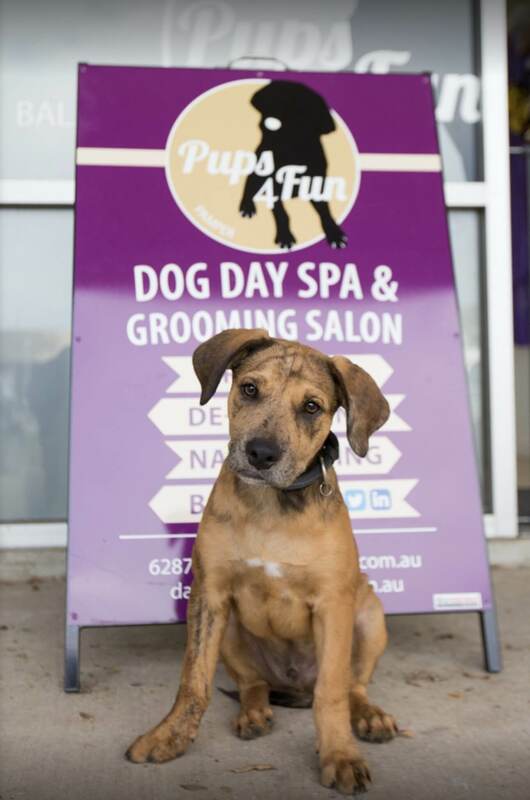 Our Pups4Fun Dog Grooming Salon is independently owned and operated, located within West Queanbeyan Veterinary Hospital and offers your precious pooch the best in comfort, quality and experienced grooming. Grooming combined with our experience in dog behaviour, allows us to offer grooming services with the least amount of stress on your dog, all while building the grooming process up to be a positive experience. Our groomers take pride in not only sending your dog home not only looking stylish, clean and feeling good, but ensuring their coat is matt free and we can give you the right advise for home grooming, giving you the best chance of keeping it that way. Please note: Individual quotes may vary depending on coat condition and temperament of the dog. Matted dogs and hard to groom dogs will incur a surcharge starting at $20. All prices are GST inclusive. From a small home based business we have now expanded to two locations with the opening of our second grooming salon at West Queanbeyan Veterinary Hospital. We have a large mobile team of over 20 trained and qualified staff providing a range of pet services to dog owners in the Canberra and Queanbeyan region. Specialised large group socialisation through our Playgroups and Out n’ About Daycare. The dogs learn impulse control around other dogs while completing a one hour on lead walk then are rewarded with off lead play time. Our Out n’ About Daycare dogs finish the day with lots of fun activities to tire the brain and body including swimming, trips to the city, hiking, training and swimming. We also cater to dogs whose social skills don’t extend to off lead play with our one hour on lead group walks. Specialised daycare located at Fisher and caters to young puppies, small dogs or low energy dogs who need confidence building. We run differently to other daycares in that we have a limited number of dogs and spend the day doing confidence building activities, training as well as socialising with dogs of different breeds, ages and sizes. We pride ourselves on building more confident, trained and well behaved dogs. Our Behaviour and Training team provide in home behaviour consults for owners and dogs needing a little extra help as well as running Specialised Workshops, Walk n’ Train sessions and one off training events. 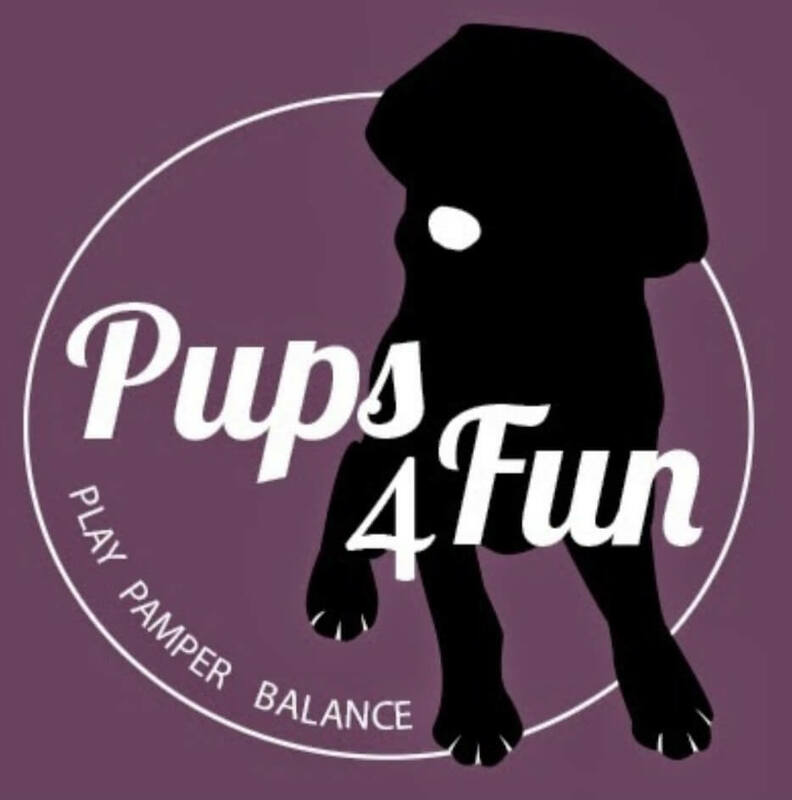 For more information on our services, please see our website at www.pups4fun.com.au.